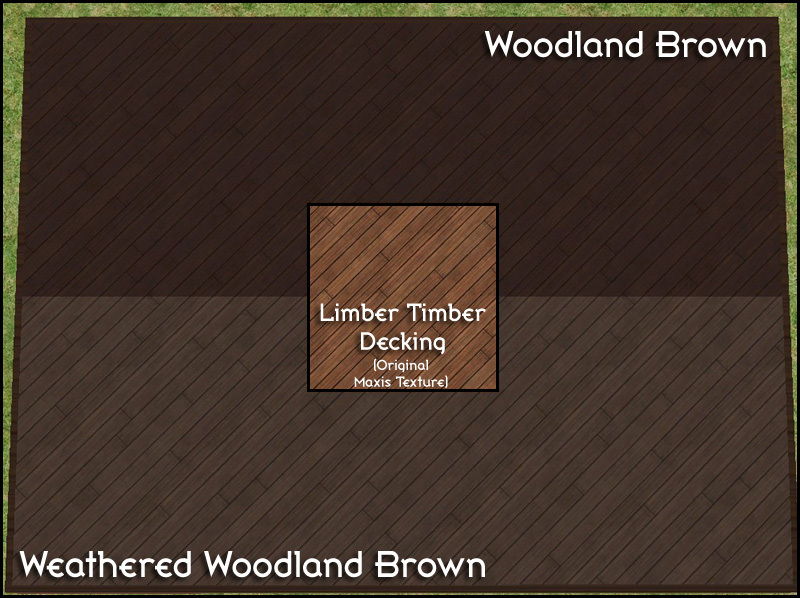 I am a shameless wood flooring junkie. 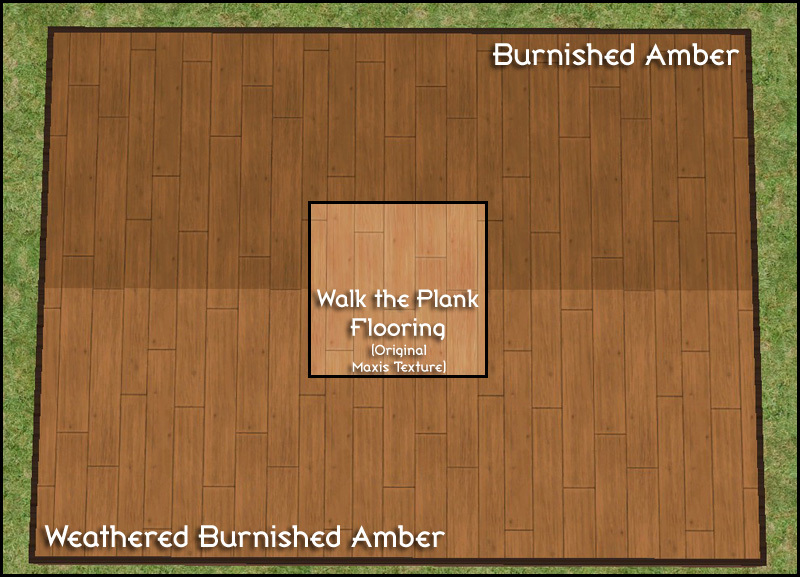 I love my real life wood floors, and I love to give my Sims wood floors. 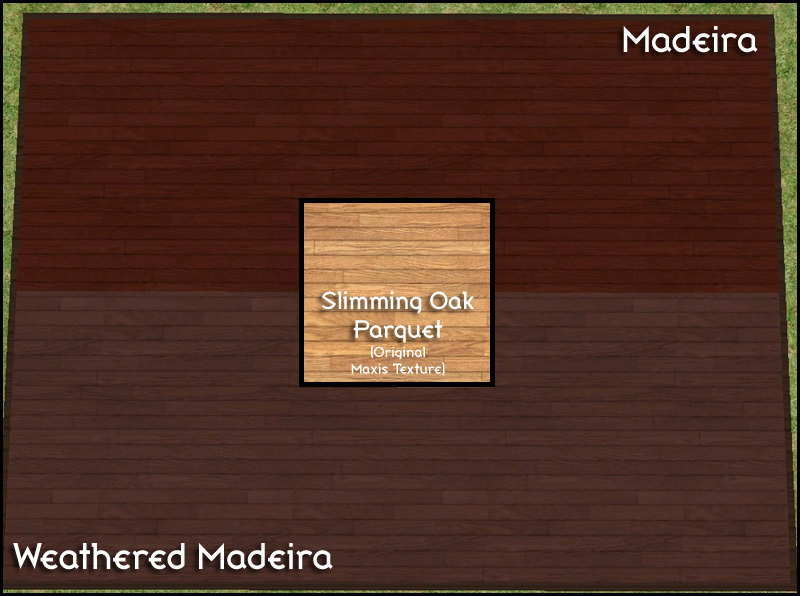 And I really like the grain patterns and such that some of the Maxis wood floors have, but I find myself often disliking the colors that Maxis created. Or, in some cases, I like the color just fine but simply want more of them. Hence, recolors. 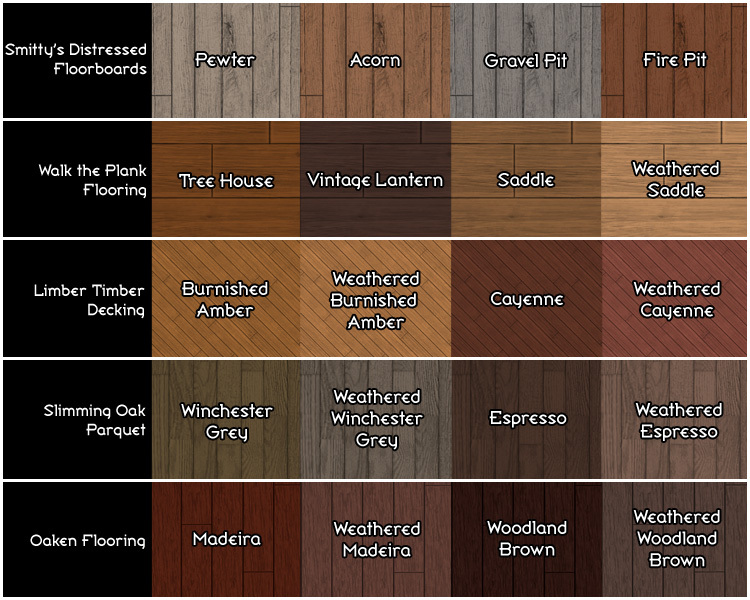 I developed a palette of 20 colors that I personally like, given my preference for muted earthy tones, and then I went ahead and applied those colors to each of 5 Maxis wood floors that I like, thus eliminating the Icky Color Problem and/or the Lack of Color Options Problem. And now I offer all 100 floors to y'all. Because I can. 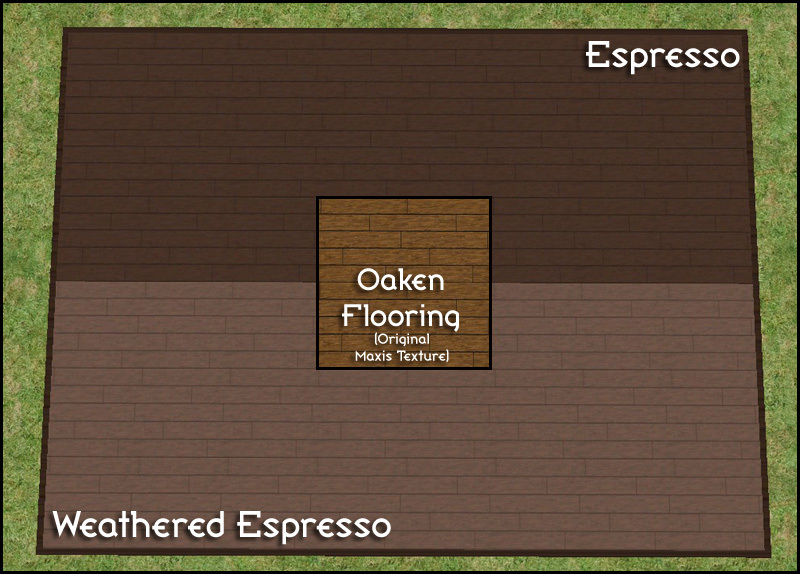 I did make some minor edits to some of the original Maxis textures, emphasizing the grain in some, de-emphasizing it in others, removing the dumb-looking (IMO) nail hole patches in the distressed floor, etc. It's nothing too drastic, though, and in one case I didn't change a blessed thing. 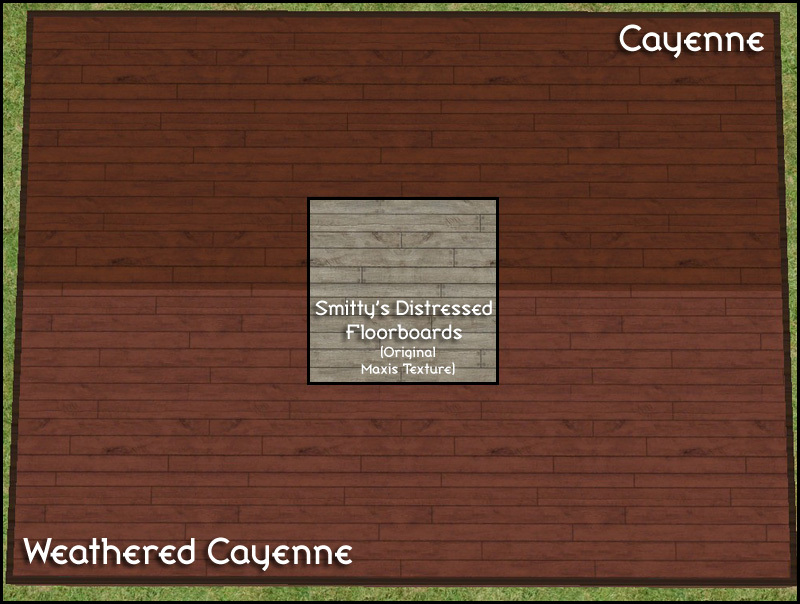 Note that I have created desaturated "weathered" versions of the colors that I personally use most often, so that when I use these floors outdoors, I can create the illusion of "aging" the wood over time by changing out the saturated color for the desaturated one. I am slightly strange/obsessive that way. Of course, you don't have to do that; the "weathered" colors can stand on their own just fine if you like them by themselves. But just in case you're as strange as me...Well, there you are. Each download includes a collection file, for your convenience. (The collection files go in your "Collections" folder, NOT your "Downloads" folder.) The individual package files within the rar files are clearly named so that you can get rid of the colors that you don't like/need. The packages are also compressed so that they are as small in file size as they can be.